Day 1 : Bali Arrive at Denpasar Airport. After meet & greet at the airport, transfer to your resort. Check into the resort and rest for some time. 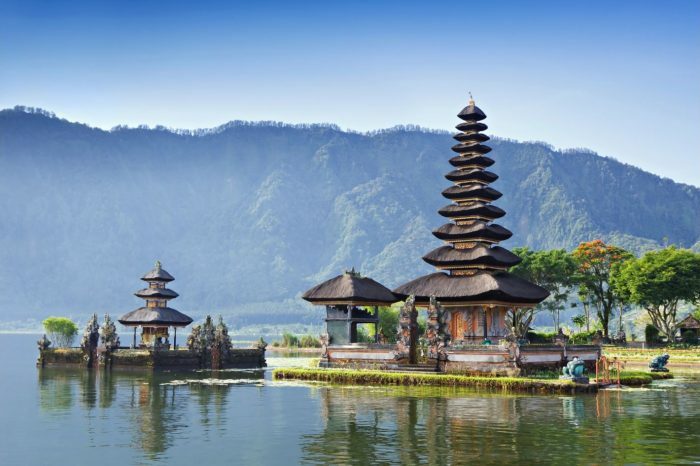 In the afternoon, you will visit the Bali Monkey Forest, Mengwi Temple And Tanah Lot. Overnight at Bali. Day 2 : Bali After breakfast, proceed for Day Tour Of Taman Ayun Temple, Lake Bratan And Pura Luhur Batukaru Temple. Get the opportunity to visit Candi Kuning market famous for fresh fruits, vegetables, and flowers. Overnight at Bali. Day 3 : Bali After breakfast, You will visit Elephant Safari Park and enjoy White-Water Rafting Adventure. You can stroll in the park, ride on the elephant back and navigate through the river. As you proceed through the rainforest, valleys, and rainforest, you will see plenty of birds and panoramic vistas. Overnight at Bali. Day 4 : Bali After breakfast. Free arrangement and departure transfer to Airport.